Signature Projects – Joe Bidermann Landscaping Inc. 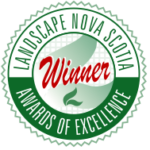 The key to our award winning landscape creations is the joint thought process and collaboration between the client and the designer, resulting in a close relationship between them. From this collaboration ensues trust and the cooperative creation of a vision for the site. Our award-winning designs recognize all aspects of a client’s life and reflect their needs and interests perfectly. Working with accredited, nationally certified landscape designer, Joe Bidermann, CLD., will ensure that your landscape meets your needs precisely, as well as suiting your surroundings, lifestyle, and budget. We will provide you with everything you need to make a well-informed decision about your landscape. His experience and skill will ensure that your landscape dreams become reality. These are but a few examples of the work we love to do for our clients. Contact us today and let us put our passion to work for you!